Since 2007 a Commisioner for Foreigners Issues is working in the town hall of Playa Flamenca. 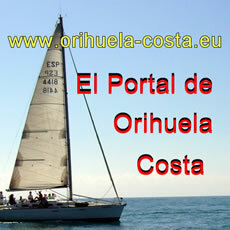 This Resident Office is reachable under the telephone number +34 966 760 000, extension 34, or via eMail: residentes@orihuela.es. Also there is a Whatsapp number avaulaible for the needs of the residents. Under the mobile number 628 822 269 you can communicate your concern. In addition to adult Spaniards, citizens from the following countries will be able to vote: European Union members States, Bolivia, Cape Verde, Chile, Colombia, Korea, Ecuador, Iceland, Norway, New Zealand, Paraguay, Peru and Trinidad and Tobago, as well as from other countries setting up agreements in the future and who are resident in Spain and are aged 18 or over on that day. To exercise your right to vote it is essential that you are registered on the Electoral Roll [Censo Electoral]. We want to recommend to all residents to get registered on the Electoral Roll. 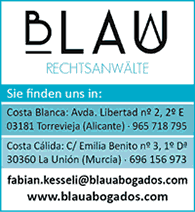 The registry is very easy and you can do it in the town hall Playa Flamenca. The presentation of a valid passport or ID card is sufficient. The Linea Verde is a direct communication channel with your local council. Simply download the app to your iPhone or Android Smartphone totally free from Google Play or the Apple App Store and then you can use this program directly to report on-line to the town hall issues such as a broken rubbish container, a non-functioning street light, a clogged sewer. In just four easy steps (selection of the type of incident, location, photo and your comment), you can tell your town hall. Immediately the relevant department at the town hall receives the message and begins the process of problem solving. Whenever working on solving the problem, you receive a message regarding the incident. You can check in real time about the approach of problem solving. In addition, you can also ask at the town hall made within maximum 24 hours to receive a response from the relevant experts. Where can I recycle used oil? Can I put a container with rubble on the street? How can I reduce the power consumption? The Linea Verde is a service that enables an individual and direct communication to local authorities. The app is available in different languages ​​and the reporting of the complaint may also take place in English. Due to the photos which are sent along with the message the exact location of the problem can be determined by means of GPS. The Número de Identidad de Extranjero (NIE) is assigned by the Spanish government for the identification of foreigners who want to develop in Spain professional or business activities. It is needed even for opening an account with a Spanish bank, also if you want to purchase a house, flat or car. For the allocation of an NIE you do not need to be a resident in Spain. The NIE does not replace a residence permit, neither for EU citizens nor to citizens of other States. EU citizens have an unrestricted right of residence in Spain. From a stay of three months citizens of the EU is committed to register to the „Registro Central de Extranjero“. Only when you receive the confirmation of the registration in the register you will be a "Residente temporal" in Spain. The NIE number is issued by the Dirección General de la Policía or the Guardia Civil, unless the applicant demonstrates that it needs such a number. EU citizens do not have to prove that this number is required. The N.I.E. can be applied for at the diplomatic missions of Spain outside Spain. To apply for the N.I.E the personal appearance of the applicant or his representative in the above-mentioned authorities is necessary. In Spanish "número" is masculine, therefore it is called „el Número de Identidad de Extranjero“ or „el NIE“. If you work as a self-employed or as an employee in Spain, or you spend as a pensioner your retirement in Spain, or for other reasons you change your primary residence to Spain, you have to register "empadronar" with your municipality the "Ayuntamiento" and afterwards with the central register of foreign nationals for EU.